This article was written on 26 Apr 2016, and is filled under New Ecologies. Artemisia californica healing a hillside. Photo JG. Chernobyl names a catastrophe before catastrophe, the one overlaying and overwriting the other. That “other Chernobyl” is, to this day, hidden, buried, forgotten, now also under piles of radioactive debris. The act of overwriting is one way of figuring the illegibility of Chernobyl. Language and writing are the other scenes of an ongoing explosion. “Chernobyl” may be “a cipher for trauma” but it is also a cipher of trauma, and the various acts of commemoration that attend the 26th of April are sometimes also the repetition compulsions of an event whose reality remains elusive and whose toxic legacy is still unfolding. It speaks to the insidiousness of this event–and of the Chernobyl Herbarium–that in the course of reading this fragment I found a potential specimen for the herbarium in my own backyard. What follows is my initial response to the book in the form of this unsolicited donation. Exploded: a word that belongs to the substantial vocabulary enriched by Chernobyl. A word to be avoided, like the lettuce in the garden and the milk in the refrigerator, because of the trace of radioactivity that it might bear. A word whose vegetal connotations have been both voided out and enriched. Other enriched vocabularies: clouds, nature poetry (“Wie herrlich leuchtet mir die Natur”), geology (“Anthropocene”), etc. “There’s no lack of void,” asserts Estragon at one point in Waiting for Godot. Estragon, incidentally, is the French name for the herb tarragon (Artemisia dracunculus) and whose common genus name is Mugwort. Mugwort, called Čornóbyl’ (Chernobyl) in Ukranian, is marked by a certain volatility. Marder points out that Mugwort (Artemisia vulgaris) commemorates the Greek goddess associated with healing, Artemis, as well as the bitter irony that Chernobyl has come to stand for an unhealable wound. For over a decade, on a hillside whose topsoil had been bulldozed in order to carve out the lot for the house in which I grew up, I have been planting Artemisia californica, a “pioneer species” in that it is among the first to take root in heavily disturbed landscapes, whether anthropogenic or otherwise. It thrives on disaster. My homegrown Chernobyl. They say that this “other Chernobyl” is still to come. I return, again, to the other “Chernobyl” of Artemisia californica (commonly known as California Sagebrush, even though it does not belong to the Salvia genus) and now with the faint hope that it might guide us along the line of inquiry opened by the leading question of The Chernobyl Herbarium: When our consciousness has been exploded, can plants assist us in reconstituting it? The annual periods of dormancy and drought-caused die-back that Artemisia californica experiences could certainly assist the (re)constitution of consciousness away from the idealization of unlimited growth. Its inability to fulfill the promise of salvation that is erroneously attributed to it by the common name, California Sagebrush, might also offer a point of affinity as we come to terms with an unsalvageable civilization. With its native habitat increasingly fragmented, Artemisia californica nevertheless explodes across the makeshift environments of the Anthropocene, an emblem of what Gerald Vizenor, after Jacques Derrida, calls survivance (“the surviving of an excess of life which resists annihilation,” according to the latter in Archive Fever). Within 2 years following the construction of an oil pipeline in the Purisima Hills, Santa Barbara County, California sagebrush had naturally reestablished on the right-of-way. —FEIS species review of Artemisia californica. Not the plant as such but rather the botanical vagabonds known as ruderals (from ruderus, rubble, referring to the waste ground on which such plants grow) might point the way. The reduced ecologies of weeds and ruderals subtly celebrate the regenerative capacities of anthropogenic and non-anthropogenic ecological disturbances, they nourish a more-than-human future beyond the legacy of anthropogenic destruction, and they also yield an ecopoetics not predicated on an unpolluted atmosphere or unalienated life. 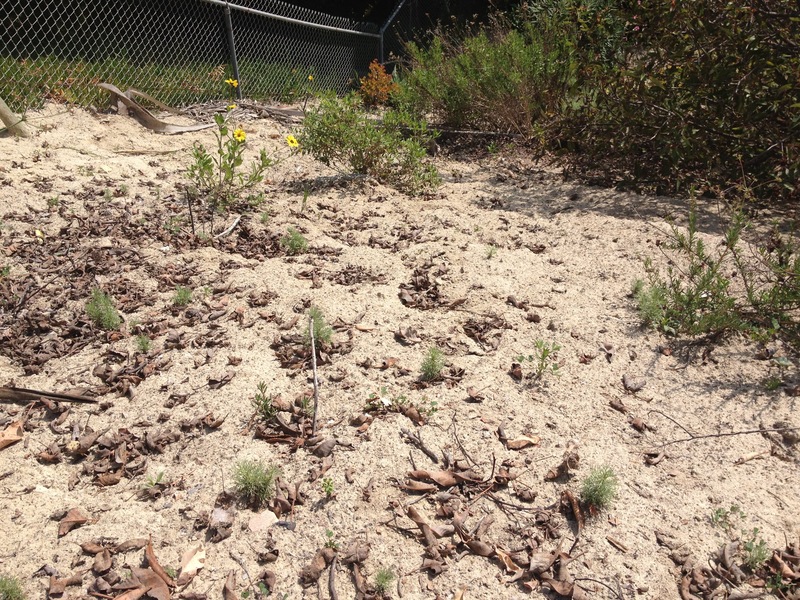 The ruderalization of Artemisia californica might point a way to a “Third Landscape” beyond the wilderness and the garden: namely, a vague terrain and “a space of indecision where humanity steps back from the evolutionary process” (Gilles Clément).